The makerspace focuses on STEAM learning and is a place to create! Come in and check out what's on the tables! Go to the Gallery to see the creations that have been made! Come check out the amazing creations you can make! Calling all master engineers! Just kidding, 3D printing is now for everyone!! All you have to do is think, design, and print. Visit sites like TinkerCAD or use design apps like 123D Design to create anything and everything. Once you have designed something, Mrs. Radic will help you download and print the .stl file. What are some things you can make? Keychains, rings, phone cases, models, chess pieces, and anything your mind can create! Here are some tips to consider before you design. 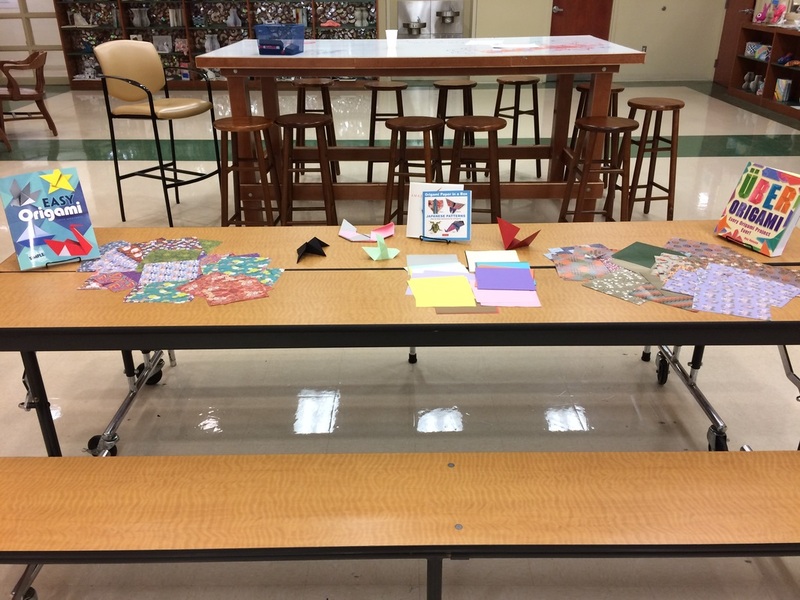 Please come by and discuss your design and process with Mrs. Radic! 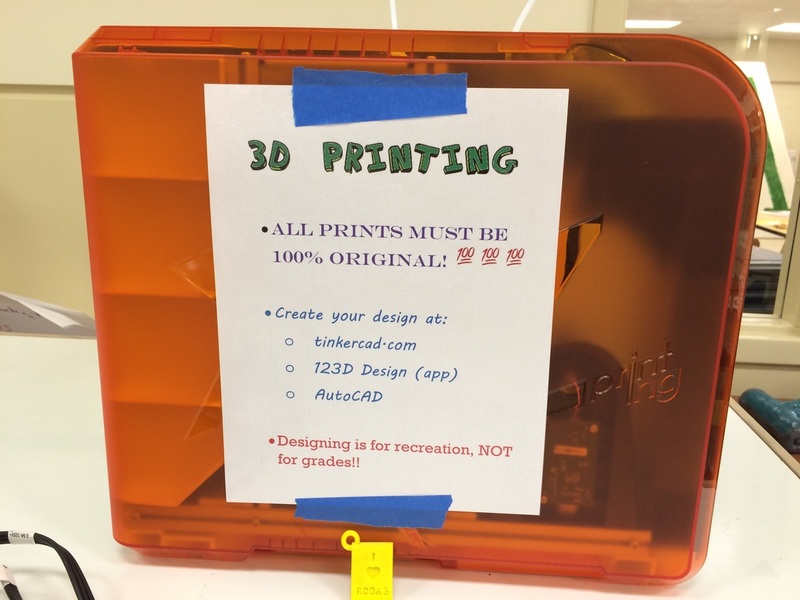 The 3D printer is for recreational use only! You may not print anything that will be turned in for a grade. You may only print things you designed yourself!